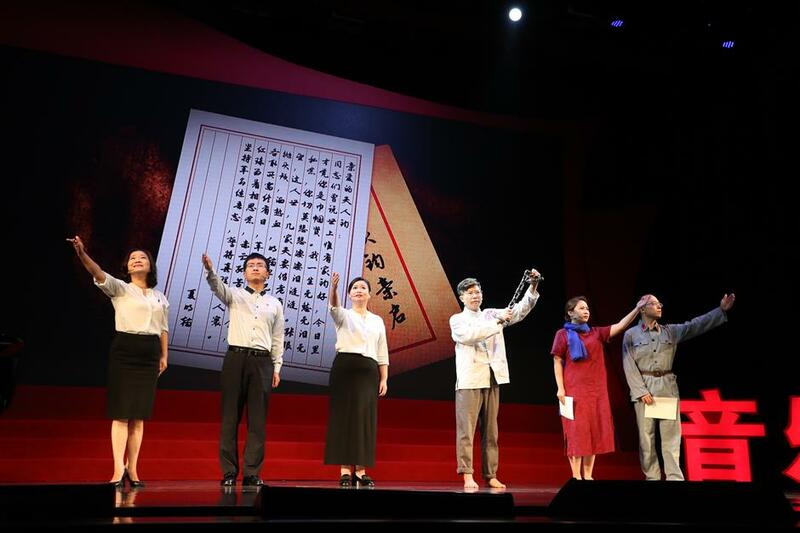 A series of lectures in Xuhui District tells the story of the Communist Party of China through both classic and modern songs and dance. A lecture in Xuhui District tells the story of the Communist Party of China through both classic and modern songs and dance. Yesterday's first lecture, attended by 500 people at Xuhui youth activity center, was delivered by six local historians and government officials, and focused on the history of the Party in the city. Shanghai Dance Theatre presented a modern performance based on the the stories of some of the female soldiers of the Red Army. Xin Ping of Shanghai University then explained the role played in the city by the New Fourth Army, the precursor of the Red Army. "Shanghai was a major supply center for the New Fourth Army which operated in the north part of Jiangsu Province," Xin said. Xuhui is home to a number of important historical sites, including the base of the New Fourth Army, the site of the Party’s secret radio station and the residences of Qu Qiubai, a CPC leader, and Tian Han, who wrote the words to the national anthem. A student choir from Shanghai No.2 Junior Middle School sang a graduation song written by Tian and Nie Er, the composer of the national anthem before Bao Lifeng, a lecturer from Shanghai Conservatory of Music described how, in 1934, Tian wrote the words for “The March” on a cigarette packet just before he was detained by the Kuomintang.